Pro as in professional And thanks to the SQ-Lab chamois, your fast descent over long distances should be smooth sailing as well. These top of the line performance pants are made from eco-friendly, bluesign System certified primary material and feature an ergonomic 8-panel design. Materials with different levels of stretch. The two side panels in the thigh area are made of woven material. 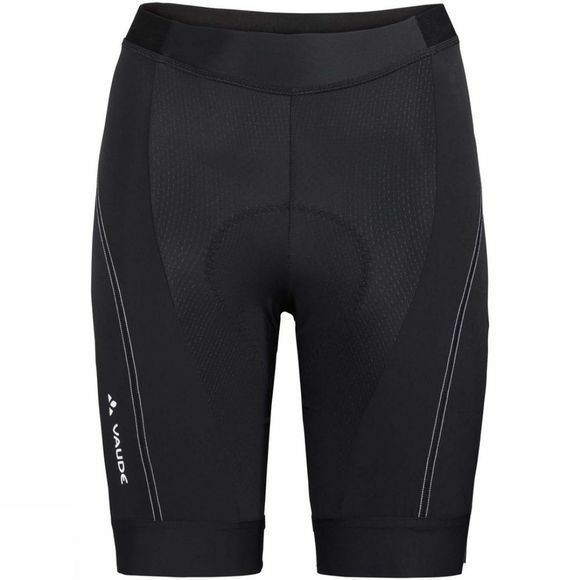 This provides compression for improved performance. Together with the two inner panels, they ensures an ergonomic fit. Flat seams and the anti-slip band at the leg cuffs support a perfect fit without pressure points. The extremely thin high performance chamois from SQ-Lab also ensures optimum comfort on the saddle. 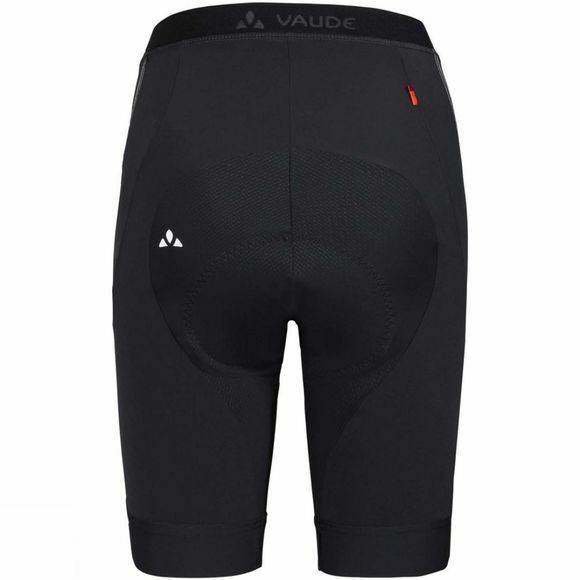 It promotes blood circulation, reduces chafing so you can concentrate on the fun of the (long distance) ride. The VAUDE Green Shape label stands for environmentally friendly, functional products made from sustainable materials.